Does God Exist, and If So, Who is He? Yes. How do we know? We don’t, if we don’t look. The closer you look, the better He looks. God chose words as the medium of communication between Him and us, and He claims that the Bible is His heart passionately poured out to us. How closely have you looked at it? The witness of creation clearly testifies to The CREATOR, and that’s who God is. Creation is filled with countless examples of things that cannot possibly be explained by the fable that everything somehow came out of nothing: the universe, the human body, a butterfly, a hummingbird, a camel, a woodpecker, a bumblebee, ad infinitum. And verses like Acts 14:15–17 show us that the Creator is GOOD. You may be aware that God has no mother or father. 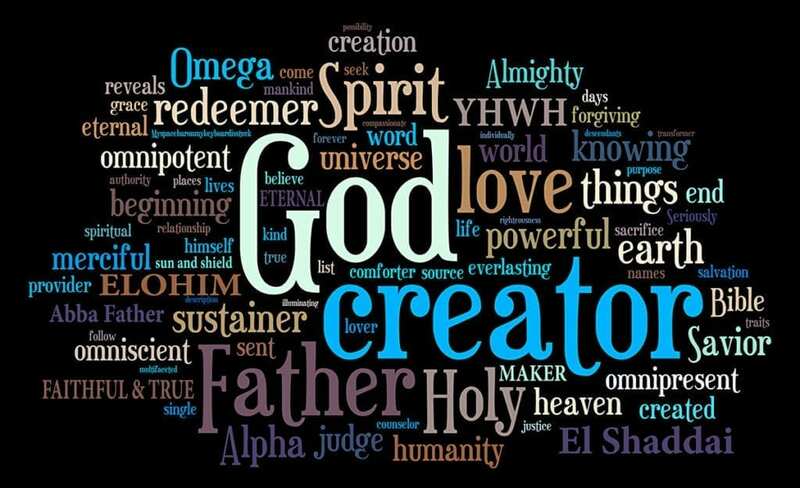 Therefore, He decided to name Himself, and Yahweh, the name He chose, perfectly describes His ineffable goodness. In Exodus 34:6 and 7a, He defined His name for the first time, to Moses: “And he passed in front of Moses, proclaiming, “The LORD, the LORD, the compassionate and gracious God, slow to anger, abounding in love and faithfulness, 7 maintaining love to thousands, and forgiving wickedness, rebellion and sin….” The rest of verse 7 says that God is just, and therefore He will judge and punish the wicked. Another proof that God exists is the delineation between good and evil that is intrinsic to mankind. That is, you know what you do not want people doing to you, and that should inform you as to what you should not do to them. Also, God wants to be real to you, and He will respond to any indication on your part that you want to know Him. He will prove Himself to you if you sincerely ask Him to do so. Finally, Jesus Christ proves the existence of God because he claimed to be God’s representative to mankind, and he made more of an impact on humanity than anyone who ever lived. Who better to tell someone about you than you? Likewise, God is who He says He is: the Creator of a fabulous Paradise who intended man to multiply and live forever on a perfect earth. Despite man’s sin against Him, He gave His only begotten Son to rectify that calamity, and because Jesus went the distance for God and us, He has assured us that Paradise will one day be restored. God is a purely loving Father. He is LOVE, He is LIGHT, and He is GOODNESS. He is infinitely resourceful, colorful, lavish, giving, kind, and everything you would want in a Father. For further study see our video teachings: “God, God, God;” “What Kind of God Do You Have?” “Who Is GOD? Part 1 of 3;” “Who Is GOD? Part 2 of 3;” and “Who Is GOD? Part 3 of 3.” Also see our teaching seminar: “The End Times Seminar,” the first segment. See our class: “One Day With The Creator.” See our book: “Don’t Blame God! A Biblical Answer to the Problem of Evil, Sin, and Suffering,” especially the Introduction.